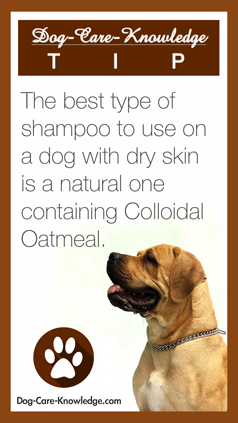 If your dog suffers from dry, itchy, skin then Nature's Specialties Colloidal Oatmeal Shampoo is what you need. Colloidal Oatmeal is the number one ingredient recommended to relieve dry skin in dogs and this shampoo is made only from natural oat grain derivatives that soothe dry, itchy skin fast. This shampoo also contains a wonderful moisturizing component that leaves the coat silky and soft. And that's not all, it's super concentrated so a little goes a long way. Whether your dog has dry flaky skin caused by weather changes, indoor heating, or other factors, this shampoo will restore your dog's skin to it's correct pH balance naturally. For best results, follow with Nature's Specialties Colloidal Oatmeal Creme Rinse. Great for dry and itchy skin! This product is worth the price for your pup, especially if they have dry and itchy skin! It also has a nice smell. I've only used it once , it seems we're on the way to recovery, less flaking and itching, It has been a long term condition having detoured using several other products with no improvement, so now with the information from the web site as welll as the product I think Hunter is improving, also the addition of the aloe rinse and additional Salmon supplement for his food. Thanks I'll be back. great lather. pleasant scent. rinses nicely. dog happy ! My dog was scratching way more than normal. I could see she had dry flaky skin on her dark coat. I also figures the dry skin was due to having the heat on a lot in the house because its winter time. I ordered Nature's Specialties Colloidal Oatmeal Shampoo and received it within 4 days. The day I received it and the creme rinse I used them. I followed the directions. The creme rinse needs to be left on for 10 min. which is a little hard to do but I did wait 10 min. and I rinsed her super well so no soap or rinse was left on her coat. She stopped itching completely! I am very very happy with this product. And her coat is so soft. She is a 9 mo. old black lab mix. I highly recommend this product to stop itching. Click the button below to add the Colloidal Oatmeal Shampoo to your wish list.